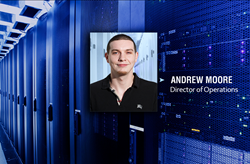 QuadraNet, Inc., a leader in Dedicated Servers, Datacenter Colocation, IaaS, Cloud Hosting, DDoS Protection, and Managed Services, is announcing the promotion of Andrew Moore to the position of Director of Operations. Moore’s career path started with QuadraNet in Miami, where he managed and was intrinsically involved with the growing and streamlining of both infrastructure and services. Relocating to Los Angeles in 2016, Mr. Moore was transitioned to effecting operational improvements to QuadraNet’s facilities and support, in a broader sense. Prior to QuadraNet, Moore operated his own hosting business and achieved considerable experience and success. In his role as Director of Operations, Mr. Moore is spearheading technical projects that ensure QuadraNet’s growth and client-centric innovation. QuadraNet Inc., since 2001, has been a leader in hosting and data center solutions as a telecommunications provider in Los Angeles and the surrounding areas. QuadraNet has grown to become one of the largest providers of dedicated servers, colocation, cloud hosting, and bandwidth services. In addition to Los Angeles, QuadraNet has expanded to offer services in Dallas, TX, Miami, FL, Atlanta, GA, Chicago, IL and Secaucus, New Jersey. With a team of highly-skilled professionals that are passionate and excel at designing and implementing the perfect solution for clients and their businesses, QuadraNet has a chief focus on providing consistent and exceptional service and support. Facilities and services are staff and monitored 24×7 to assist with everything from routine memory upgrades to advanced systems troubleshooting.